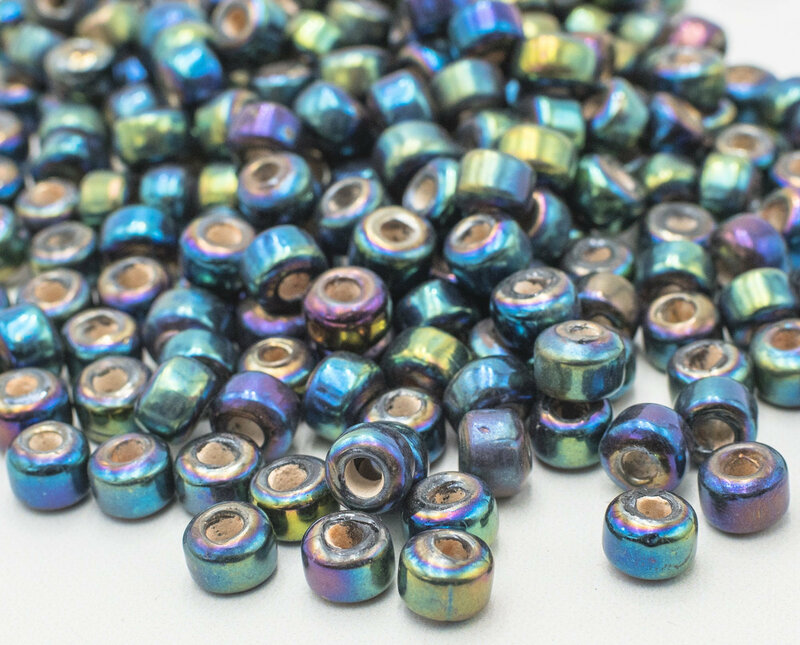 Metallic crow beads made from glass with rainbow finishes. 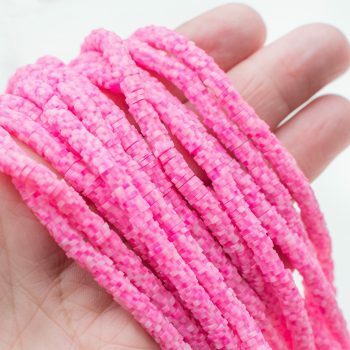 Bead size is approximately 9mm wide x 7mm thick with a 3mm bead hole. 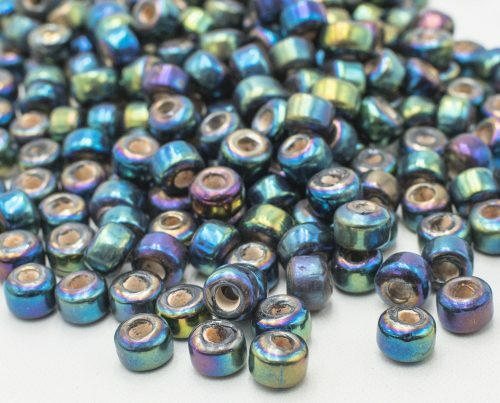 These beads are coated with a multi colored rainbow finish with focus on green.